A new digipack CD sized cover was created for this collectors edition. Time of the Earth offers a unique DVD immersion experience. Either as an engaging audio-visual odyssey or for the environmental enhancement of one's living space, this captivating film experience invites repeat viewings. Steve Roach -- the master of mind-altering, atmospheric soundworlds -- has long been influenced by the expansive landscapes of the desert southwest. 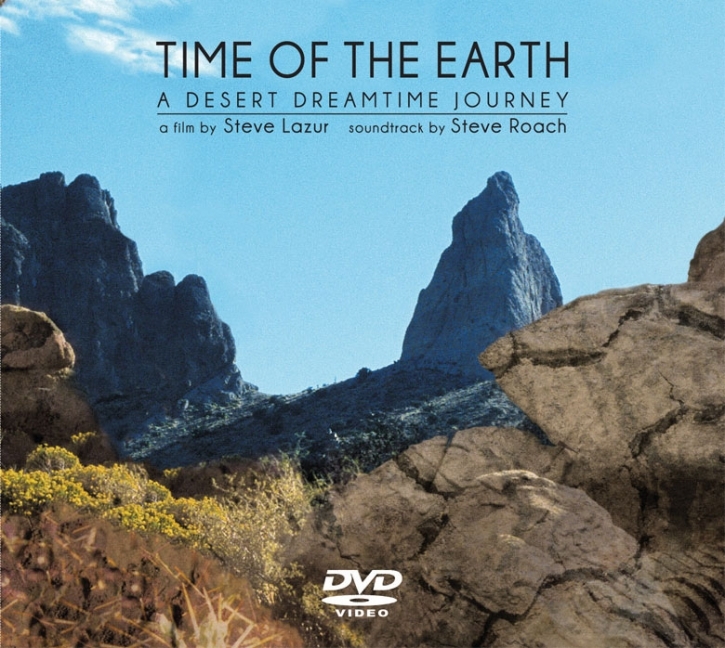 On Time of the Earth, he has found the visual poetry to match his evocative music: a 77-minute photographic feast for the eyes created by Steve Lazur. Gleaned from three years of filming the most remote natural wonders of the American West, turbulent cloud formations hover over sun-scorched canyons. Epic rock sculptures grant reluctant entrance to vistas still echoing from the dawn of creation. Time-lapse and slow motion film techniques merge with real-time movement through landscapes so surreal they draw viewers into an alternate universe that nonetheless exists right here on this planet. DVD Video. 77 Minute. 4:3 aspect radio. All region playback NTSC (except Japan).